OEM Public School Eraviperoor is in Thiruvalla, Kerala state. In this article you may get more details and history about a famous school O.E.M. Public. School situated in Eraviperoor, Thiruvalla. Hope its interesting for all. Read it to know its past and what made this school popular. Oonianthala. Eapen. 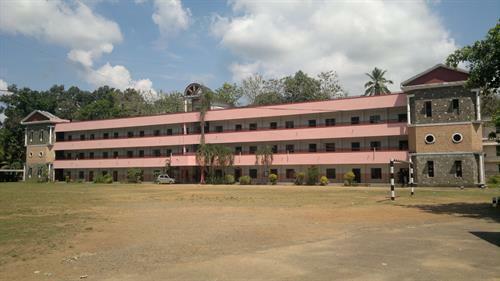 Memorial (O.E.M) Public School is one of the best institutes situated in Eraviperoor, Pathanamthitta district, Kerala. Present Principal is Mr. George. Philip and Vice Principal is Mrs. Achiamma Oommen. This school has already completed more than twice a decade of useful existence. It has been steadily growing and it has over 1000 students and more than 70 employees consisting of teachers and non teaching staffs. It is necessary to remember not only the founder, late Mr. O. I. Oommen but all those who worked here to make this school what it is today. It covers around 4 acres of land with large football ground, basketball court, badminton court, volleyball court, big swimming pool and lots more. The school is blessed with lots of talented teachers. This is the only school nearby which provides complete audio visual facilities for students to grasp the subjects more. There are all sorts of books available in our library. Students are more dependent on it as books are the source of knowledge. Every year we conduct Onam and Christmas celebrations, annual sports meet, etc. Scholarships are given for all the toppers in order to increase the competitive mindset among the students. Mock Parliaments had been conducted for all the students thus improving the talents of many students. Many exhibitions were conducted by presenting more than hundred preserved animals, some diseased parts of the human body, lots of interesting facts and projects on science done by students, danger room for entertainment, and many other fun stuffs. Inter school sahodaya youth festival was another great event in which more than 40 CBSE schools had participated in it. The school kept their decency and provided facilities for all the people arrived for our grand function. Inter school football tournament was also held in 2011 with the full support of our former principal Mr. C.M. Hemachandran. Coaching is given for students by professionals to improve their skills. This was an event which was introduced aiming for the overall development of the students. Beyond that our students have brought a bunch of achievements for our school in all the levels, even in arts. Thus we make our students improve themselves not only at the academic level but as a whole. The campus is supported by the peace and beauty of nature and we always remember the contribution of our founder to this village. It is a privilege and honor to be a part of this school as it is graced by lots of talented teachers and students. This school with up to 12th standard provides good education and 100% results for the students. Here, each and every student enjoys a better support with the teachers than their parents. Let us all strive to do our best to help in the development of a bunch of young generations through O.E.M.